Nothing beats the luxury and deep comfortable sleep you get from the Slumber 1 8-inch Mattress-in-a-Box. 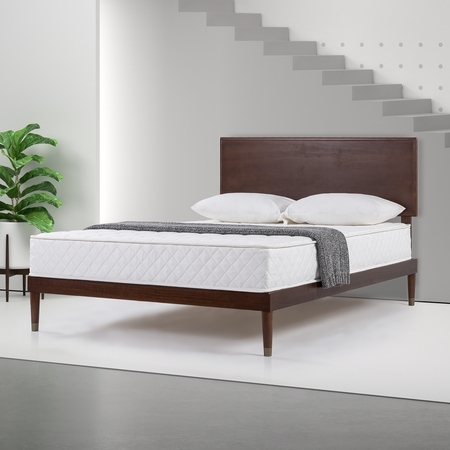 The individual coil springs in this mattress provide better motion separation even as you toss and turn, making for a more restful and refreshing night's sleep, even if your partner is a restless sleeper. The mattress is designed to adjust to each individual's weight and body shape for a truly personal sleep experience, night after night, and the heavy-gauge steel coils make for a sturdy and thoroughly comfortable place to rest. Available in Twin, Full, Queen and King. Bed and bed frame sold separately, this Slumber Mattress-In-a-Box has a 10-year limited warranty. proposition 65 reasons:CALIF. PROP 65 WARNING: This Product can expose you to chemicals known to the State of California to cause cancer or birth defects or other reproductive harm, including trace amounts of styrene at an exposure level below the non-significant-risk level (NSRL). For more information, go to www.P65Warnings.ca.gov/furniture. I suffer from fibromyalgia which often leaves me in a great deal of pain. 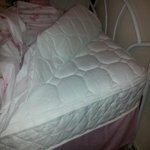 In the past I have purchased more expensive mattresses to find them in worse condition as well as providing no relief. In the past I purchased the twin size mattress which we still have and instantly fell in love. The softness and the comfort is AMAZING! Especially for the price you can't beat it! 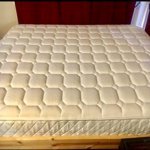 Now, if your expecting to get a $10,000 mattress for this price or top of the line try else where this is NOT the mattress for you but if your expecting to get a fairly decent mattress that is comfortable for a great price than look no further! Most people including myself seem amazed at how the mattress unfolds out of the box and starts to slowly rise to it's proper position. It does take time to fully erect to it's correct size I believe it's 48 hrs but it usually rises faster than that. Now if you purchase you MUST be careful when taking it out of the box and removing the tape as not to cut the mattress. The only complaint I have is that I ordered it online @ walmart and the box arrived pretty beat up! Other than that LOVE LOVE LOVE this mattress! Gr8 buy for the price! Thank you for your feedback! We are glad that you&#39;re enjoying your new mattress. Don't Sleep on this SAVINGS! Gr8 deal 4 the price! I purchased this mattress after buying a new bed. I was nervous about it, thinking that I would hate it. Turns out, I loved it! 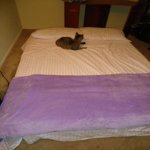 It quickly took shape after I took it out of the box and unrolled it, and I slept on it that same night with no problems! You can't even tell that it came from a box. I do recommend getting a mattress pad, though, because sometimes if you turn over, you can feel the springs moving. The bed is really easy to move around since it is compacted into such a small box. It inflated very quickly. As soon as I took it out of the box and unrolled it, it immediately started expanding to its original size. The bed is very comfortable and there is no weird smell or anything like that. It's an excellent purchase considering how inexpensive the bed is. I'm extremely satisfied with the bed. "Bed in a box" sounded pretty sketchy to me but its totally fine after you take it out and let it expand. Great Option. I bought this online and was a little thrown off as it arrived in a little box and thought they had shipped the wrong thing. When I opened the box it was vaccumed sealed to 1 inch flat and rolled up like a barrito. I thought there is no way that's a whole mattress. But once the seal was broke it popped open to full size like a river raft it was actually pretty cool. The mattress felt really good firm but soft I was very impressed and may by another one for another bedroom. This mattress is very comfortable and soft. Purchased for our daughter's off campus apartment. 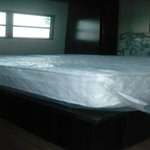 The mattress is shipped rolled up, but expands once the plastic is removed. I would definitely purchase this brand again, as well as recommend it. Believe the ratings, because not only are they accurate, they played a big part in my purchase. Don'the forget to purchase the bundled frame. We wanted to videotape it doing its thing but we weren't quick enough. As soon as we cut the plastic we pretty much had to move out of the way. Amazing how they can pack something of this size into a box. We did allow the full 48 hours before using. It is deep, soft and comfortable. I plan to buy a king one now. Bought this one for a daybed and it fits perfectly. This 8" also fits the trundle with top room to slide out. 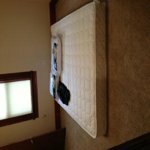 We are thrilled to see that your mattress decompressed properly and quickly. Thanks for sharing the information as this is very helpful to others making a purchase. Thank you for your great review! 3 Plus years and Great customer service. 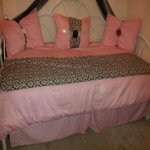 I purchased this mattress in August of 2011 and paid $209 for the queen size plus $70 shipping as free shipping was not available on the item at the time (hence my 4/5 rating on value, seeing as it would be around $100 cheaper now then when I originally purchased the item). 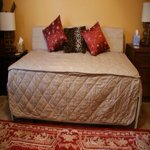 The mattress is one of the most comfortable mattresses I have had and I received major compliments on the cloud like feel. I was a bit apprehensive to order a mattress-in-a-box and was definitely hard to explain it to friends and family that the bed literally inflated upon arrival. 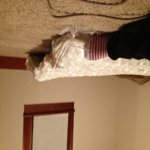 In or around December of 2013 I too began to experience the sinking in the mattress. After months of uncomfortable rest I was tempted to buy a new mattress. I was going to buy the same exact mattress because I did really like it. A few months later I decided to do some research and contact customer service and I saw it had a 10 year warranty on the item. Walmart's customer service was able to get me the contact for the manufacturer's customer service. I received rapid response from the customer service rep via email after explaining my issue. 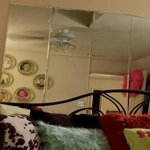 I had to submit my invoice, pictures of the bed and pictures of the tag on the bed (do not rip or cut off this as it is needed for warranty issues). 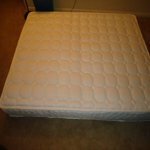 The same day I submitted my document via email they sent me out a replacement mattress for free. Now I have a brand new mattress!. Now obviously some would be annoyed at the sinking that happened regardless of if they got a replacement but I definitely think for the price and customer service I received this mattress deserves the rating I gave it. I would definitely recommend this product to anyone and have even told my friends and family about the great customer service. Thank you for your feedback, we are glad things we're taken care of for you. This mattress is easy to carry if you need to pick it up at the store. It comes in a box that although it does not fit into the trunk of the average car, it will fit nicely into a minivan without even removing the seats. Once you get it, gather the family around the bedroom, and let them watch the show as it comes out of the box rolled up like a tamale and becomes a full fledge mattress. A good mattress. I recommend it. 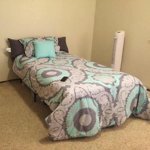 can the bed be easily put back in the box when not in use? 2. No. Once it is open from its condensed shipping state, it is like a regular mattress. 4. No, definitely not. 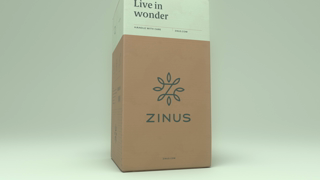 It is vacuum packed in plastic and enlarges dramatically after you break open the plastic. 5. I dont think so. u will have to squeeze it badly to put it back in the box. thats wht my concern was whn I received the box. returning will be a pain if u dont like it. 6. No will not go back to org. size in box. 8. I would say no. Once you open the vacuum sealed bag that it come in it's pretty much open for good. 9. I ordered a 5mil mattress storage bag from amazon for $6 and then taped up the ends to seal the bag leaving about 3 inches so my shop vac hose could fit. It sucked this mattress flat! I then rolled it up, taped it up and was able to move it to our new house in my little car. Super easy and there are youtube videos showing how to do it. 11. No! The box is pretty small. When you open the box the mattress is tightly air wrapped in plastic. Once you lay out the mattress and cut the mattress it blows up immediately which is totally amazing. It's totally comfortable. 12. 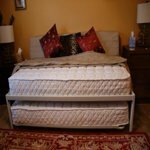 It may be possible, but you would have to be extremely strong to re-roll the mattress back. 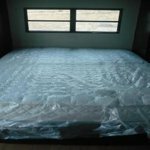 will this mattress packing fit into my 2001 model corolla? 4. Yes it will. It's in a box with rollers but it is heavy. I needed my boyfriend to help lift it. I recommend putting it in the back seat. 5. yes!! i just got my full sized mattress and it easily fit in the back seat of my 2 door honda civic. i would guess a queen would have fit as well. not sure about a king sized tho. it is pretty heavy though so its really a 2 person job. 6. Might fit your back seat. It fits in Altima easily. 7. yes it will fit....it is about 3' long, 1.5'x1.5' wide box. 8. The box should fit into the backseat just fine. 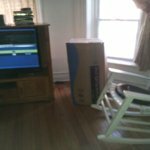 Wal-Mart loaded it into my car for me and I unloaded it at home. The box is a bit heavy, but I managed it and I'm a 5'-1" woman. 9. Not unless you can open your car door enough to accommodate a box the size of 62" long and about 40" wide. My Camry will not take that - the 40" is the problem - open your car door and measure but don't forget the back seat will lift it up - doubt you can put in a 40" square box into the back seat. I'd say back end of a SUV, van, wagon or pick up. Don't forget if you take out of the box or it opens up full of air - and doubt you could get it out of the car once it opened. 12. Yes. The mattress is rolled up in a box, that will fit in your car. 2. Mine is on 2x2 wood slats and it is just fine. It could also be placed on a traditional solid platform (plywood, etc.) "In a box" refers to how it is shipped. The mattress is folded/rolled then vacuum sealed in plastic to keep it in a small box. You won't believe a mattress is in the box when you receive it! 4. By "in a box" means it comes in a heavy duty cardboard box. Once the mattress is removed from the box it is vacuum packed in a clear plastic bag. The mattress is compressed very flat, in the bag, the folded in half, then rolled up. It was quite a surprising to see a queen mattress packed like this but after a couple of days of being opened it is a 60 by 80 inch mattress!!! 6. the mattress is rolled up and shipped in a box. It would still need either a plywood surface, box spring, or slats less than 3" apart. 7. It's just a mattress. It doesn't have a frame. i have a platform with slats and it is fine. 8. No it does not at all need to be on a plywood surface. It actually doesn't even need a boxspring. 'In a box' means just that, its delivered in a box, rolled up. 9. This matress is a real matress like one you would buy out of a matress store. I bought it because it was amazing that a matress could be packed inside a box and then inflate once taken out. The instructions indicate that the matress will be in full form in 24 hours but it was much sooner, like and hour or so. It could sit on any surface you choose. 10. 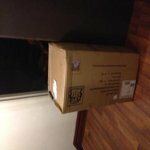 The mattress is shipped in a box . It is in a plastic bag and then vacuum sealed like those space bags . The mattress compacts to about 2" thick then folded over and rolled up . I bought a full size and the box measured 39"x16"x16" and weighed about 60lbs. so you could easily get this into a small car , not on the roof . 11. This mattress comes folded in a box at Walmart for easy pick up. When you get it home, just open, let it breath for an hr or so and it's ready to sleep on.